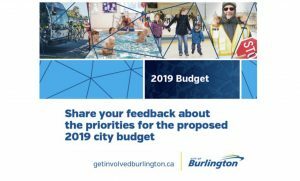 The City of Burlington and I will be hosting a pair of Town Hall events in February to help us gather your feedback on the 2019 proposed city budget. Earlier this month, city staff presented us with an overview of this year’s operating and capital budgets. 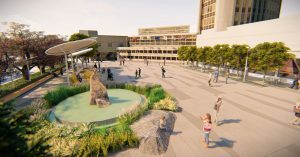 City staff has proposed a $1.67 million operating budget for 2019 with a city tax increase of 3.99 per cent (1.97 per cent to maintain services, 1.25 per cent for infrastructure renewal, and 0.77 per cent for service enhancements). When you combine the estimated regional and education tax rates for 2019, the increase for a Burlington homeowner will be 2.45 per cent — so, if you own a $500,000 home, you would be paying an additional $99.95 per year, or $1.92 per week. I am looking to get this budget under 3 per cent for the city portion without compromising what I believe are city-essential services. From 7:30-8:30 p.m., I will host a live, call-in telephone Town Hall where residents can listen in and ask questions about the priorities of the proposed 2019 budget. Burlington residential phone numbers will be randomly selected to be part of the telephone town hall, but if you would like to be added to the telephone call list, please email getinvolved@burlington.ca by Tuesday, Feb. 5. Anyone who does not receive a telephone invitation can call 1-800-837-8058 at 7:30 p.m. on Thursday, Feb. 7 to join the Town Hall. From 2-3:30 p.m., I will host an in-person Town Hall in the auditorium at Central Arena at 519 Drury Ln. Senior city staff will be at both town hall sessions to help answer questions. The City of Burlington has put together a great video on Budget Basics to help you better understand where your money goes. Also, be sure to take advantage of the City’s new Open Budget online tool: an app to display the city’s budget data in accessible, easy-to-understand charts, tables and graphs. Public engagement is one of the most important things when it comes to city matters, particularly budget. 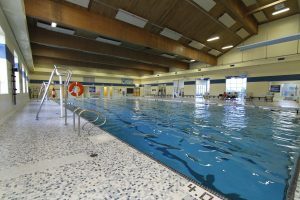 With engagement, residents can not only see exactly where their tax dollars are going, but also understand how they and Burlington will benefit. It also gives us, their elected representatives, a chance to hear their thoughts and ideas on what’s been proposed for the 2019 budget. Whether you want to attend in person or call-in to listen, I would encourage members of the community to ask questions and join the conversation. Be civil. Would you speak this way to a good friend? If not, rewrite. Focus on the issues. Build your argument and make your case in support of your opinion from facts, research or other sources. That way we can all learn. “I disagree with so-and-so because…” is fine; “So-and-so is naïve/stupid for thinking the way he/she does and here’s why…” is not acceptable. Don’t make personal attacks. Don’t assume motives of those you disagree with, make unfounded allegations, spread rumours, or engage in any other behaviours that would discourage you from participating if someone said this to, or about, you. The Golden Rule applies: Do unto others as you would have done to you. We will edit or not post comments with this type of content. Say it once: When comments from the same individual or individuals become repetitive, going over ground already stated, we reserve the right to close commenting. Use your full, and real, name. If wish to make a comment in public, we expect you will publicly stand behind it with your name. If you don’t want to publicly reveal your name, that’s fine; you are always welcome to share your thoughts with me privately via my email below. I welcome and consider all feedback in making decisions for the community. Have fun, consider and learn. Share your views and read those of others. May we all benefit from a healthy exchange of ideas, and learn a little more about the people in our community, what you think, and what’s important to each of you. You may end up changing your mind about an issue; even if you don’t, we hope everyone will gain a greater understanding of why people have different perspectives.